Get ready for next 14th Feb! Pick a Valentine’s Day themed background and type in your own text. Surprise your partner with romantic messages! You can set up the TV screen with your message and leave it on – the message will keep showing even after you disconnect your phone or tablet (perfect for leaving a note on the TV when going out)! 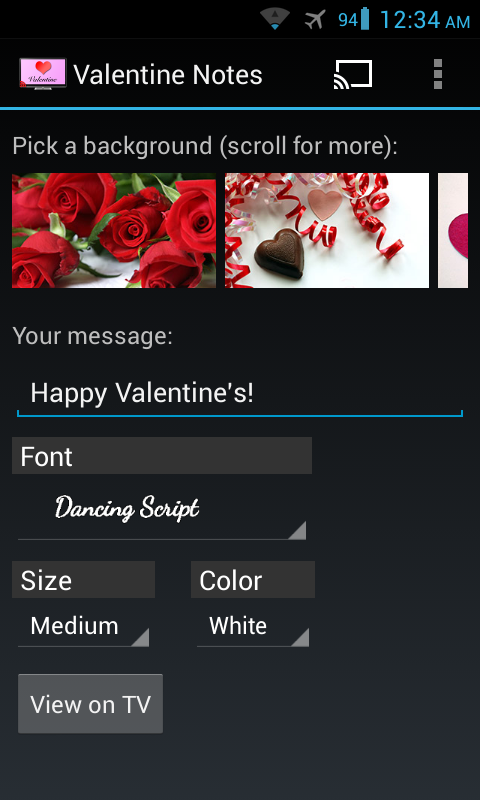 How it works: With this app you can choose between 22 Valentine’s Day themed romantic backgrounds, then write a message. 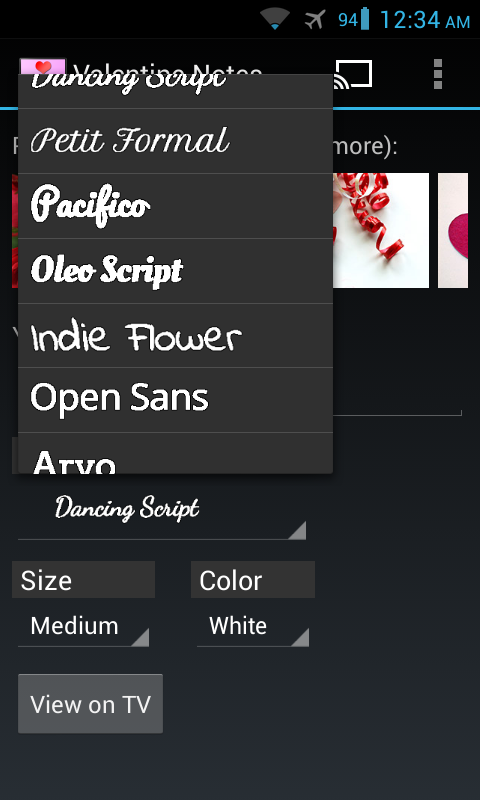 Choose your message font, size and color. Exit the application. * You can prepare a romantic Valentine’s Day message that your partner can wake up to! * Write up a love note to cheer her up after a long day at work. * Set up a romantic mood with roses on your TV screen, without any message text. * Leave a “miss you” note when you leave for work. Note: This app is NOT free (1.11$). Chromecast device is needed.